TFL badges are now available for this season's participants. To use, wear the Achievement had and click 'get badges' for the TFL badge to show up. Thanks for playing this season! 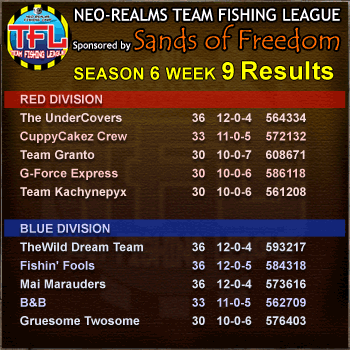 Congratulations to Season 6 Winners: The UnderCovers! 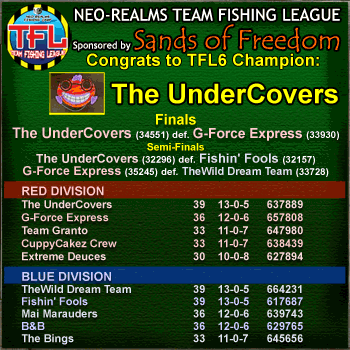 Congratulations to the Season 6 Winners, the UnderCovers! It was an exciting season, thanks to everyone who participated! Prizes for the winners will be distributed shortly. 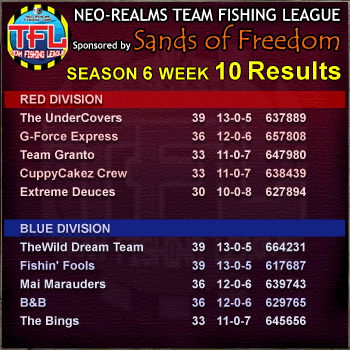 A big thank you to all of our sponsors for the season including our league sponsor Sands of Freedom! 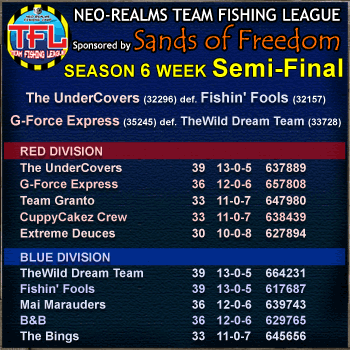 The TFL Season 6 Final will be between The Undercovers and G-Force Express. Good luck to both teams! The last week of regular season matches are here, good luck to all teams!